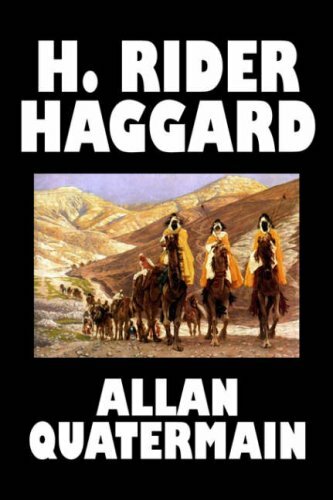 In King Solomon's Mines, Haggard introduces the reader to Allan Quatermain, now one of the most famous literary adventure characters. Second in the series, this book, Allan Quatermain, continues the story of this daring man and chronicles in first person (and through correspondence from some of his fictitious companions) his adventures in Africa. Thought to be one of the fictional characters upon which another such person, Indiana Jones, is based, Quatermain is nevertheless a humble man.